Try our steak and short rib burger for your burger menu. It is easy to prepare and great in taste. Add hot Horseradish Sauce for a special dip. Peel and dice the onions then sweat in the oil for 4-5 min. then remove and allow to cool. Mix the mince, COLMAN’S Horseradish, cooked onion and breadcrumbs together then shape into 10 patties. Rub each burger with a little oil then place on to a hot grill or BBQ and cook for 4-5 min. on each side or until thoroughly cooked. Spread the mayonnaise on the bottom halve then top with the tomato and lettuce. 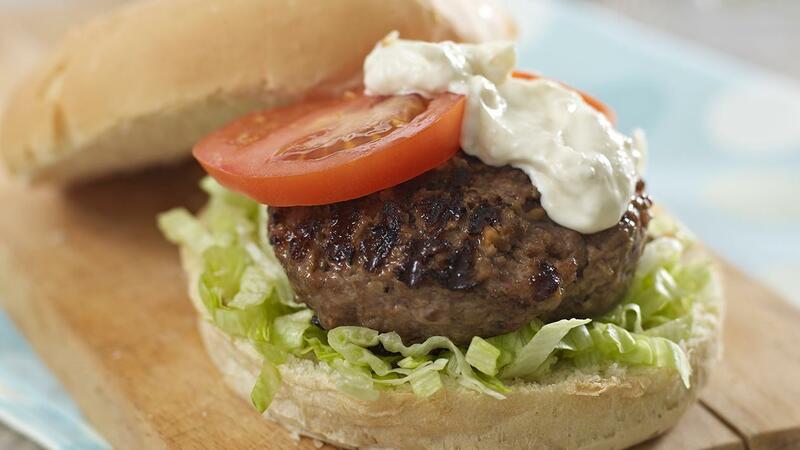 Sit the burger on top of the salad and spread over the remaining COLMAN’S Horseradish.